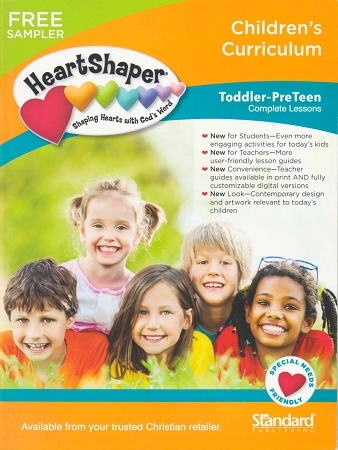 Our HeartShaper material is set up for ages 0-12. From our curriculum, your children receive a balanced diet of biblical truth that enables them to know and understand God and the Bible thoroughly by their early teen years. Our curriculum is planned out years in advance, and each quarter and topic builds on the previous quarter and topic. And now you can check out BRAND NEW samples of all our Heartshaper material completely FREE. Just add this product to your cart and go through the normal checkout process. You will then receive an email with a link at the bottom that will allow you to download this sampler.